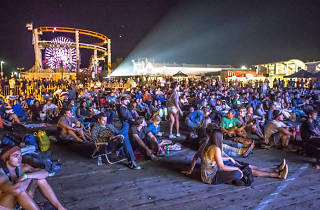 With summer movie season behind us, get your outdoor film fix at an equally alluring venue: the Santa Monica Pier. 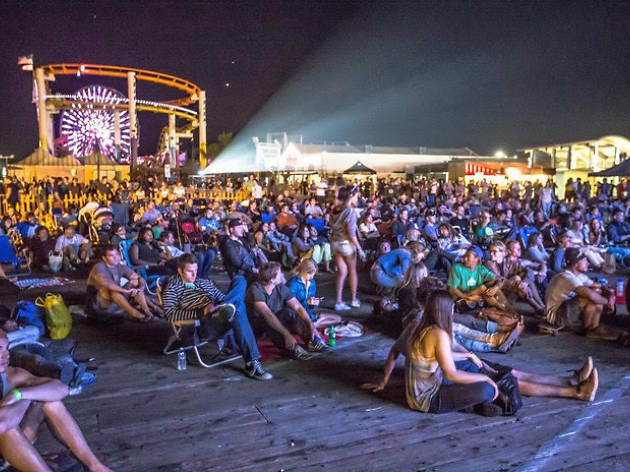 For one long weekend in October, this series unfolds a chair on the Pacific’s front porch for a string of family-friendly flicks. Probably my favorite way to watch a movie in LA. The timing always works out where you catch the most spectacular sunset on the pier before the movie begins. You can bring your own chair (no enforced height limits) or you can rent onsite. There are food trucks, but Pier Burger is always the best idea. The carnival rides can be a little distracting, but the light can be helpful when trying to maneuver to the bathroom in the dark, and it just serves as a reminder that you're watching a movie on the pier.